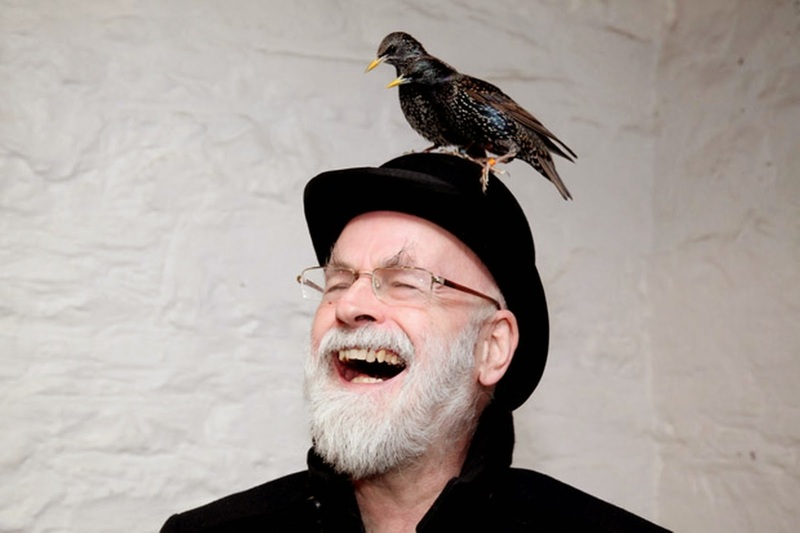 RIP Terry Pratchett. You contributed to my love of reading and you took me on some incredible journeys, making me laugh along the way. The joy you gave me then is equally matched by the sorrow I feel at your passing. The world is a little sadder and more mundane a place without you in it. Hello to you all! It's been an absolute age since I updated this blog, so I thought I'd spend a few moments letting you know what I've been up to and what's coming up in the future. I've been lucky enough to be one of the first people to be able to read and give their opinions on two books for children that are currently being worked on by my good friends Elizabeth Earle (of Benedict and Blackwell fame) and the comedian Trevor Ship. Both are very different types of book, but both look great and I can't wait to see them released! One of the highlights of the last couple of weeks was attending the opening of the "Muscle Memory" exhibition by the ridiculously talented and thoroughly decent bloke Al Davison (The Spiral Cage, Hellblazer). As well as catching up my friend George Bastow (who is a talent to watch out for and has a quite excellent blog) the highlight was seeing Al paint a page from it live which was being auctioned as he worked on it. I'll admit to bidding way more than I'd set as my top limit, but in the end it went for an impressive (but well worth it) £550. He has a patreon page to raise funds for the second volume of his graphic autobiography, a book about his experiences growing up with Spina-Bifida. It's well worth your support. 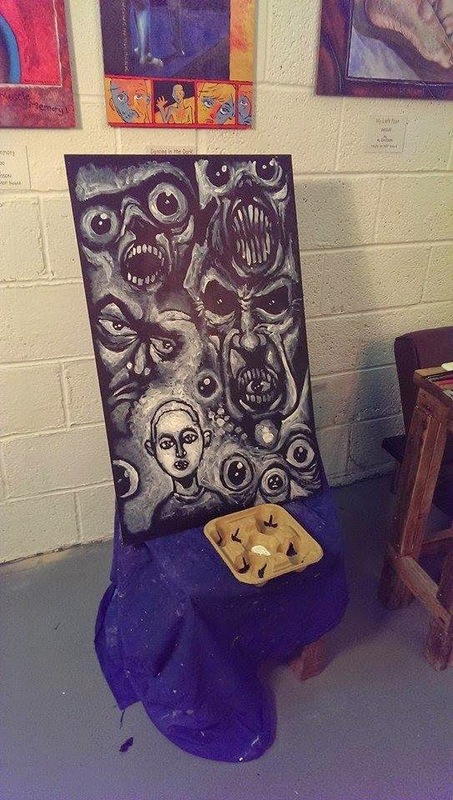 The exhibition itself has just recently closed, but there's another exhibition running for four weeks from the 11th of April where Al will be creating the exhibition live performing a version of his one man show as he paints - this is again at Fargo village. The tales from his past that Al relates are as funny as they are heartbreaking - well worth a visit. In closing though, two things I've read recently that I've really enjoyed, that I really can't recommend highly enough. I was lucky enough to briefly meet Mike and get a signed copy of this at the signing I did at the Big Comfy Bookshop last year for release of "Forever and Ever, Armageddon". I could sing the praises of this book till the cows come home, but it's one I'm reluctant to say much about for risk of ruining the myriad of surprises in store. As poignant as it is horrific, it moves effortlessly between fantastic characterisation to bloody horror. I absolutely flew through this book - it's the old cliché to say "I couldn't put it down", but it gripped me in a way that nothing I've read has for a considerable amount of time. I'm familiar with Mike from his comic work on Lucifer and Hellblazer, but.. wow.